Are you ready for another week to tackle your goals and move one step closer to successful ecommerce business you’ve always dreamed of? You’ve come to the right place to get fired up and ready to go! 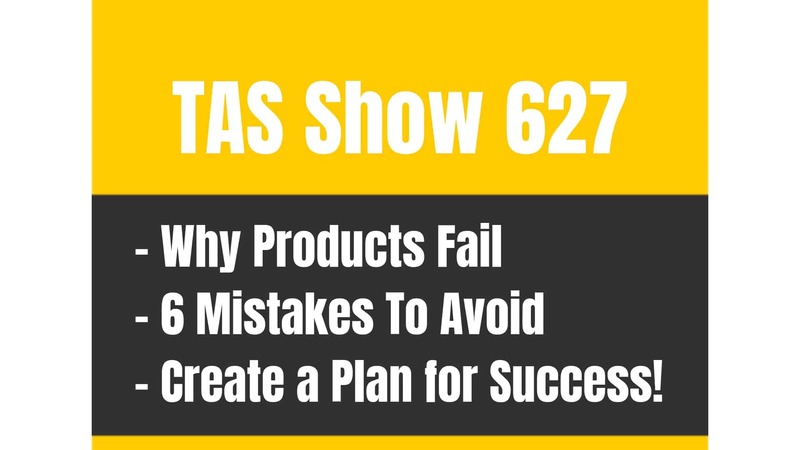 On this episode of The Amazing Seller, you’ll hear from Scott as he shares some helpful takeaways from a recent TAS meetup, why your excuses are no good, and of course, he answers questions from TAS followers like you! Don’t miss this helpful episode, it could be just what you need to fan those embers into a full-fledged fire! Did you know that being part of a group or community can help you stay on track? This is why people join groups like Weight Watchers, being part of a larger community with a similar goal keeps you motivated. On this episode of The Amazing Seller, you’ll hear from Scott as he shares the power and impact that local TAS meetups have had on leaders like you! What is your plan to stay on track? Do you have a local group of fellow business leaders you could connect with so you can stay focused? Hear more from Scott on this topic and much more by listening to this episode! Are you looking for a low-risk way to start your journey as an ecommerce seller? Have you considered connecting with local businesses to see if you could list their products online and form some sort of partnership? On this episode of The Amazing Seller, Scott shares how he heard from TAS follower like you at a recent meetup about how they’ve connected with local businesses to start their foray into ecommerce selling. If you’ve been looking for a way to get started but you are unsure of the overseas dealings and product testing, you might want to consider this option. Make sure to listen to this episode as Scott share more helpful insights like this one! Don’t Buy Your Own Excuses! What is holding you back from getting started on your own ecommerce business today? Is it a lack of money, time, additional resources, or all of the above? Don’t let those excuses hold you back! On this episode of The Amazing Seller, you’ll hear from Scott as he shares why all the excuses you could muster to delay starting your journey toward running your own ecommerce business today are useless. Is it difficult? Yes! But if you really want it, and you are willing to struggle toward a worthy goal, you can do it! Hear more from Scott as he tries to motivate and inspire business leaders like you to get started on this episode. Take Advantage of Resources Around You! Do you or someone you know have the skills to create marketable items from home? Have you considered leveraging those products and testing them in the ecommerce marketplace? What are you waiting for? On this episode of The Amazing Seller, Scott encourages TAS followers like you to take advantage of resources around you to get started or branch out on your next product. This one piece of advice could be a huge gamechanger for sellers like you! Make sure to listen to this episode as Scott expands on this subject and so much more, you don’t want to miss it! [2:30] Scott’s takeaways from a recent TAS meetup. [11:00] Question #1: Is my cost per email for running giveaways is too high? [20:00] Question #2: I have a custom textile product a friend makes, is it a good product to start with? [24:30] Question #3: Is brand registry worth the effort? …answer your questions here on the podcast and yes I do it every single Friday and well I’ve been doing it for about 135 Fridays now and I’m going to do another one today. So really, really excited to be here. I am beyond fired up today and the reason today is because I just got back from Dallas Texas and we had a TAS meet up there. About 30 of you showed up in that Dallas area and again, whenever I travel to a certain town or city or wherever I’m going I like to let people know that I’m going be there and hopefully we can have a little TAS meetup. Not just really to come in there and meet me and my team or whatever. It’s really to get together with other TASers. The great thing about that is a lot of times there’s some really awesome relationships that form or people that are like, “Wow, I didn’t know that you were so close. Maybe we should have our own meetup.” I believe that happened during this meetup. A few guys got together, and gals, and said we should get together and meet up like once a month or once every quarter and that’s really what I want to do here. I want to connect people together and that’s what these meet ups do. But what I’m really fired up about is just some big take aways. Some things that got me thinking and also I have to be honest. Like you guys fired me up like everyone that was there or just you guys sending in your comments whether you were at a TAS meet up or not, if you’re sending in your comments or your emails, I read everything and it does inspire me, it motivates me to continue to do this podcast. A lot of people say, “Scott, how do you jump behind that mic and talking to it and stay energized?” Well, a lot of the reasons is because of you and also those stories that you guys share with me and I’m going you guys here, I’m going to give you guys something that you can do Monday. Now, if you’re listening to this after the fact, you can still go and do this but Monday I’ve got a pretty big announcement that I’m going to be letting you guys in on and it’s going to have to do with you guys. [00:02:07] Scott: And it’s about hearing your story and we’re going to have something cool happen after you do that and we’re going to have some really cool stuff. So I can’t really give it away yet because I want to wait till Monday. I want you guys sit there, give you a little teaser and let you guys know that it’s pretty big though. I’m pretty excited about it and it’s really just going to involve you sharing your story again and giving us a little bit of feedback and when you do that, we’re going to have a little contest or a little giveaway, if you will. So let me just give you my takeaways for this week and this week is really easy because I was there, I was inspired by all of you that attended. And just, again people that email me on a regular basis. So what I took away from this meetup is, number one how powerful meetups are. So if you are in an area where you think that there’s other people that would be interested in doing a meet up whether it’s a TAS meet up or not, do it. You can go to meetup.com, you can create your own and then let people know in that area that you’re doing a meetup and then hey, if you get three people who cares? It’s like three people that are like minded and you’re in person, you’re in a coffee shop or you’re in that restaurant, wherever you want meet and just talk shop. Get to know each other, get to trade things that are happening back and forth. Really, really powerful. The other thing is it will keep you inspired and motivated and will also have someone there as a support partner or as accountability partner. As you guys all know I refer back to the fitness industry. If you have someone that is going to motivate you, inspire you to keep going when you don’t feel like going it’s pretty huge. Like if you have to check in or if you have to say, “Well, I really haven’t done anything,” you feel guilty. That’s actually a good thing. The thing is just being able to trade ideas and just bounce things off of each other. So definitely that’s one big takeaway. Meet ups are absolutely, to me, critical in people success. [00:04:04] Scott: Not just like if you got to go to a big meet up. It can be a three person like I said. Three people, four people and the one thing I would say I guess is you want to probably want to keep it under like ten people I would say. Something like that. Because then it can get a little too big. Like in our case we’re doing it really to get the community together, be able to come in, shake hands, get to meet each other. That type of stuff. But I’m talking like a real meet up where you get there and you trade secrets back and forth. I’d keep it to like ten or under so that way everybody has a chance or maybe you have three people per meet up that get to talk about what they’re struggling with. Kind of like a little mini mastermind in a sense. That’s the one thing that I took away. Second thing is, and again, these happened from you guys sharing stories with me but I had two young ladies come up to me and say I was kind of nervous getting into this whole thing. And what I ended up doing is taking the information and rather than going out there and finding my own product I found other brick and mortar businesses that had products that weren’t selling online or weren’t selling on Amazon yet and if I asked if they wanted me to do it for them and then from there they would get a percentage of the sales. And guess what? The businesses said yes. So that’s a big one. That’s a big one. That was a big take away for me. I was like wow, I’ve heard of people doing of people doing this. Actually a good friend of mine now but one of our students Jarred has done this. He’s grown just about a million dollar business of his own and now he’s consulting and he’s making a good bit of money there as well. So definitely it’s something that got my wheels turning again but you’ve got to have the bandwidth for it but you also need to decide like you want to do that for someone upfront and you can again reduce the risk because you’re not going there and finding a product. You’re just taking their products and launching them. So just a little food for thought there but that’s a big one. So what that allowed me to also think about and I want you guys to really let this sink in is if you have no money to do this business right now, you have time probably. [00:06:07] Scott: And that would be my next thing. It’s people say, well I don’t have time. Those are excuses guys. We all have time. If you don’t have money, I get it. There’s ways that you can get money and we talk about that in our 1K Fast Track it’s where we do our seven day challenge which basically boils down to you looking around at what you’d put into a garage sale or lawn sale and you go ahead and then you throw that up on eBay. And you make 500 bucks, 700 bucks, 1,000 bucks. We’ve got people in seven days that have made over $1,000 from stuff they had laying around. So again to me those are excuses. No money, well go find money around your house by having a garage sale, a lawn sale or put something up on eBay. There’s your excuse done. It’s gone. The no time, well I’m sure you can get up an hour earlier or an hour later or on your lunch break. There’s always time there, somewhere. I get it. We’re all busy and the crazy thing is when people say no time one of the girls that I met, she’s got kids. She’s got a husband. She had got a full time job. And she’s still found a way to go out there and find a consulting client and then launch their products and now she’s grown that into her own little client base. So the no time thing and the no money thing they don’t really work for me. There’s always that. When I was working my construction job, I was working 60 hours a week I still had time to go do side work. Yes, I wasn’t home as much and yes I was taking away time from my family but I had to sacrifice that in the beginning in order to get myself to where we were starting our own photography business at the time. Then at the time I was able to leave the job and go to photography business and that was supporting me now. Then I got what I wanted. That was a stepping stone. So the no money no time thing, no excuse for me. They are just none and I get it. We all want to make these excuses, why? Because we’re afraid. Why are we afraid? Because we’re afraid of failing. What will we look like in front of our family? What will we look like in front of our friends that we tell them that we are going to do this? [00:08:02] Scott: Have you ever sat there and said, “You know I don’t really know if I want to tell anyone yet because I don’t want to not do it and then look like a fool?” Have you ever said that to yourself? I know I have. I’m like do I really… Even like this podcast. Do I really want to go on there and tell people that I’m going to do this one thing and then maybe not do it and then look like an idiot? Like yeah. Sometimes you think like that. But that again means that you’re afraid because you don’t think you’re going to commit to it. So why aren’t you going to commit to it? So you have to ask these questions. I’m asking these questions back and forth to myself. I’m getting answers. Then I can address that sticking point and then I can ask another question. So no money no excuses, no time no excuses. We just put those to rest. The people who were at the meet up were totally made me see this. And because they were sharing their stories and a lot of them had those sticking points. I didn’t think I had enough time. I didn’t think I had enough money. And they found ways around it. Just like everyone that was there was doing something whether they had just started their business or just launched a product or they were selling for the past year and a half and they are doing really, really well. There was just a whole range of people. So that’s my thought of the week. It’s just that meetups are really powerful. If you have an opportunity to go to a meetup do it or create your own. Take the initiative to create your own if you want to. If we’re going to be in your area some time and you hear us saying we’re going to be there, show up. We had people travel four to six hours away to come to this meetup and spend the night, one night over in a hotel and hang out. We were there from like 7 o’clock until like 12 o’clock at night. Like so if you have the opportunity definitely, definitely do it. I’m tell you, you’re going to walk away energized and ready to go and so many people said, “Wow, now that I’ve been here and we’ve went through all this stuff together and we met cool people and they are doing it and I can see that now that I was stuck here but they were stuck here too but they busted through it and now they are successful.” That’s what you need sometimes. [00:10:03] Scott: Meetups are huge and then the other thing is if you feel as though money or time is an issue, you can put those things to rest because I just went over why. So today what we’re going to be answering few questions. I’ve got a list building numbers questions, I’ve got selling high priced products question and the last one we have is trademarking pros and cons which is always a great topic. So what do you say? Let’s get ready to rock and roll here. I will remind you the show notes can be found at theamazingseller.com/436. If you have a question that you want me to answer on an upcoming Ask Scott session head over to theamazingseller.com/ask. Record a voicemail there and you can leave your first name, please leave your first name and where you’re tuning in from and then also your question. All right, what do you say? Let’s do this. Let’s get rocking and rolling. Let’s go ahead and listen to today’s first question and I’ll give you my answer. [00:11:02] Bryce: Hi Scott. This is Bryce from Atlanta Georgia. My wife and I actually have been listeners of your podcast for about a year now. We’re getting really close to launching our first product and I got to say that we’ve gotten so much value from this podcast, from the TAS community on Facebook. Love your Power Hours with Dom and Chris. Those are fantastic to watch. I always get a kick out of watching those. Thanks for everything you continue to do for the community and all the information that you’re putting out there. It’s just incredibly valuable. So thanks again. We wanted to run this question by you regarding launching a product and building a list. We have watched that build list video a few times. We’ve been through all the training videos and we started off with Instagram ads primarily and mostly because they were just a little bit low barrier to entry because of getting all set up. And we have gotten some successful from it. We have gained about 200 emails in a matter of three weeks I would say. But the cost per email has been pretty high. Now, we’re not sure if it’s due to our offer. Perhaps the landing page but I don’t think it’ the landing page because I think we are using plugin, the Giveaway Boost plugin and it can be the audience perhaps as well that we are targeting but really they are pretty well matched up with the product that we’re going to be launching and the offer we’re going to be doing is really in the same kind of market as well. So I just wanted to see like what the average statistics are for cost per email on Instagram. We’re currently getting about anywhere from three to five dollars per email. And maybe it just, as you get more emails they start being shared more and more through the Giveaway Boost plug-in and maybe that cost per email it’s going down just because it’s shared. But we haven’t quite hit that tipping point yet and we’re just exploring Facebook ads as well. We have started doing a little bit there. We’ve ran a campaign for about two weeks with just a lower budget and those tend to be around $3 per email. [00:13:06] Bryce: So I was just wondering if that starts to mature over time, if that cost per email starts to going down. So trying to get your thoughts on that. Maybe you have some advice on what we could do and maybe what other people have been able to do in terms of building their list. Maybe other TAS listeners that you’ve been able to work with and see their campaigns’ performance. Just curious what advice you can give us and then what numbers we could expect moving forward because we really want to build this list and use it to launch our products successfully. So really appreciate the time, everything you’re doing again. We’ll continue listening to the podcast and thanks so much Scott. [00:13:45] Scott: Hey Bryce. Thank you so much for the question and thanks for the kind words and all of the feedback on the podcast. I’m so glad that you’re finding it valuable and so glad that you’re taking action. That’s the best thing that I could hear right there is that you’re actually doing something. So awesome and thumbs up to you. So let’s dig into this really quickly. Here is the deal. There is not statistic that I can get you that I could say is the average. You’re going to probably get this in your market. It’s always going to be a test. For anyone out there, like I can tell you that we ran one for our Sneaker Head market and we were averaging on Instagram about 25 cents an email. And then I can say that we did it over here in the fishing space and it was $3. So the first thing is maybe your real audience isn’t in on Instagram or maybe they are not the ones on there that are going to follow through the link and then enter. So maybe that’s going to be not the right place to go find your audience. Maybe it is Facebook. I would say that you have to probably test another Instagram page not just that one. To kind of rule it out, I would have to do that. The other thing I would ask myself is maybe the audience that you’re finding on Instagram, your offer isn’t aligned with them. So those are some of the things that I would look out for on Instagram if that’s where you want to go. [00:15:52] Scott: I can’t say that because I don’t know your market and I don’t know from testing. Like I haven’t tested those things. Those are some things that I would do. What I would do probably is I’d look at the offer, make sure that that’s 100% aligned with… I would want to know that that offer is like a no brainer and anyone that’s in that space is going to be like, “Yeah, I’m going to just put my name and email there because I want that. I want that. I’m such a huge fisherman and I want that bass kit. I want that because that’s me.” So you got to know your audience. That’s number one. Number two is it’s going to be testing. You’re going to have to test that offer. But with that all being said, I would probably take those 200 emails that you have, I would upload those to Facebook, inside of your ads manager and I would start running a lookalike audience to those people. Okay, now wouldn’t be targeting those people that would go find people that look like those people. So the same interests, the same criteria. So that’s probably where I would start. I’d take that base of 200 that you paid for and I’d upload those into Facebook in the ad manager and I would do a lookalike audience. That lookalike audience then could be a lot larger. It could be starting at like 3,000 people but all the way up to three million people. That’s what we’ve really done. We’ve actually taken like a small set of emails and we’ll upload them into Facebook in our ads manager and we’ll create a lookalike audience and that usually converts pretty well. We’re finding, we started out wanting to get emails for about a dollar a piece. We were like okay, if we get them for $1 a piece that’s going to be a good number but we are since tweaking and since doing these tests. We’ve been getting them down to around 15 to 25 cents. Somewhere in that range. That doesn’t mean that that’s what everyone is going to get. Like I said, we were still happy paying $1 a piece for an email. So 1,000 emails would be $1,000. To us we were willing to pay that. But we’re dialed in now. We found out where our audience is and whenever we want to run another contest we just tap into that network and now we just keep running that ad. [00:17:55] Scott: And we can continue to do lookalike audiences because the lookalike audiences can be really, really large. So that’s what I would do. I think $3 to $5 is high. I think you have to still test and tweak to get that down to a dollar or lower. And I think if you go over to Facebook you’ll probably be able to do that easier that doing it on Instagram because Instagram you’re going to have to find an influencer. You’re going to have to pay them whatever their fee is and you’re going to have to run that and see what happens. The other thing is I would look at that Instagram page that you use and make sure that it’s an engaged page. Meaning, if you look at a page that you want to promote on and you see that they just posted something an hour ago and it’s only got 60 likes on it then you know it’s probably not that engaged. Let’s say it’s a 300,000 Instagram page. Then if it only gets 60 well you’re probably only going to get a small percentage of people out of that 60 that liked it that seen it to actually go over there and enter their name and email address. But if you do that like we did that in the Sneaker Head market where we seen that this one page had let’s say 300,000 but they would put out a post and in an hour they had over 1,000 likes then we know that we’re going to get a small portion of that, even if we get 250 of those then we’re okay. Especially on that page because it was a smaller page. We only spent like 50 bucks. So do the math. It can work out where you can get them below a dollar a lead. So those are some things to think about. lf you guys are listening to this and you’re like, “What the heck is Scott talking about, all this Facebook ads, Instagram influencers and stuff.” If you haven’t launched yet, don’t worry about it. When you’re ready I would definitely recommend going through our free workshop. That can be found at theamazingseller.com/buildlist and that will outline everything for you, show you exactly what we’re doing and kind of what Bryce is going through as well. Hopefully this helped you Bryce, keep me posted. I want to know and I want to continue to see how you’re doing and how you are tweaking that and maybe we can do an update one in the future. Let’s go ahead and listen to the next question. [00:19:56] Mark: Hi Scott. So my question is regarding finally taking the plunge. I know a lot of people when they start out they have a hard time figuring out what product they want to sell. I actually looked at FBA because I have a product. It’s a product that’s hand made by someone I know to actually pretty pricy, it’s a couple of hundred dollar price range and it’s a textile product which is perfect for outsourcing to China. My question is, if I’m trying to replicate that at lower cost is that bit of a gamble because I imagine even in China this will probably be $30 to $40 a unit product. Now, I’m afraid that I might get stuck with those because they don’t sell or whatever and they’ll have cost me much more than a small item would. So do you think that’s a good place to start? Or should you start by something smaller and move into more complicated products? Thanks a lot. [00:20:58] Scott: Mark, thank you so much for the question and you probably wonder how I knew your name and you didn’t say it, because I seen your email that came through. Sometimes the name comes through by the email that someone sends it but guys please do me a favor… I almost say this every episode just give me your first name and that way there I can call you out by name. If I don’t see the name and email I can’t address that even though it’s not a huge deal. I do want to know kind of like who I’m talking to. So Mark thank you so much for the question and number one, like you’re in like a great spot. Like anyone out there that has products that they make themselves currently or are handmade like you guys are in a great, great spot. Why you may ask. Well, because you can go ahead and launch five units of your made product and test the market like that. I just snapped my fingers. That was a fast way of doing it. Like I mean you can make five of your things and even if they’re longer to make right now you can at least put it up there. You can build out your listing, you can take pictures, you can do everything. So to me, that’s a no brainer. So get that product up there and test it. If anyone out there listening makes homemade or handmade product like out of fabric or maybe you even make stuff out of wood, I don’t know. Whatever you make you can put that up there. You could also put it up there. It’s like the Etsy of Amazon now. It’s where you have handmade stuff. You have another whole market place that can open up to you for this stuff because it’s handmade. But even if you didn’t have that, that’s just another side thing, even if you didn’t have that you are in control right now of putting something up. You’re not having to wait for a sample to come. You’re not having to wait to get your first shipment in. You can test it and if you want to, maybe a lot of work upfront but you can put 25 units up and test it. You can start running pay-per-click so there’s a lot of cool things that you can do. Anyone out there that’s also seeing someone in their own network of people that make handmade stuff and you want to help them launch their product on Amazon there you go. [00:23:07] Scott: We just talked about that in the beginning about how I found out like by going to our meet up some people there are doing consulting. Well, that could be kind of your thing too. So again I get excited about that because anyone that has product that they can make themselves or have made locally or with someone that they know, that’s going to make your process a lot simpler in the beginning to test. So, the second part to this is well, what about ordering over in China? My product it’s going to cost more because you’re selling a high ticketed price. I think that’s great like if you want to sell a product that costs more that’s awesome because now you’re going to be able to obviously make more money because one sale is still going to be maybe yield you 30% to 50% but you’re charging more. So that would be my answer to your question Mark and I would definitely, definitely do that. I think you’re in a great spot. Anyone else out there that’s listening, that’s in this type of spot you are in a great spot in this business because you can go ahead and test a lot quicker than we can. So hopefully that helped you, let’s go ahead and listen to the last question. I’ll give you my answer, we’ll wrap this baby up and you guys can get on with your weekend. What do you say? Let’s do it. [00:24:50] Dan: Hi Scott, this is Dan from the UK. I really appreciate your podcast and all that you do. And personally benefited from your knowledge and also your enthusiasm. You keep me going even when times get a little tricky as they do from time to time. Anyway, my question is about brand registry. So I’ve got a brand, I’ve got five SKUs on Amazon and doing pretty well, thank you. And I thinking about the pros and cons of brand registry. I don’t have much problems with counterfeit goods. I have a couple of people on the listing trying resell my products but no counterfeit to speak of. So I just wondered is it worth me registering my brand, going through the trademarking process? Which obviously is an investment and what would the benefits be essentially if I go down that route? Okay, thanks again. Thanks, bye, bye. [00:25:43] Scott: Hey Dan. What’s up from the UK. Thanks so much for the question, thanks for the kind words too by the way. And you are actually at the point right now that I would say absolutely you should register for a trademark. You said you have five SKUs, you have a brand that’s doing pretty well. I probably would have did it even sooner because it is going to take some time. Now, what’s it going to take? Well, you can hire a lawyer to do it. There’s a few companies out there that also make it easier. I know Legal Zoom it does it, I’ve done one through Legal Zoom, there’s also I believe it’s Trademark Engine I believe is the one. I’ll link up some resources in the show notes but really, what you need to understand also is that if you have this brand that you have, this company and you have goods that are selling you want to do your best to protect them. Because there’s a little bit of a difference. We can sell on your listing. If I bought your product and I never opened it and I just want to go ahead and resell it, I can do that. It’s totally fine and that’s what retail arb is really. Like if I found your product on the shelves of a retail store and there was five of them, I can go ahead and buy them at a discount and I can relist them on your listing because technically, Amazon doesn’t want me to list the same exact SKU. It doesn’t want me to list it separately. It doesn’t want to create a new product in the catalog because it’s not really a new product. [00:27:54] Scott: The problem is when people try to pretend as though they bought it and that’s what we call, that’s kind of counterfeit because now they are taking a product, they are saying hey, manufacturer make it look like exactly like this, the same packaging, the same design and all that stuff and I want to go ahead and get these ordered and then they just jump on your listing and act as though it is their product. That’s a no, no. That’s not what you’re supposed to be doing and that’s not really what you’re talking about. You’re having an occasional person come on and just resell some of our product. That’s basically what they’re doing. Almost like a wholesaler would in a sense. Okay, what’s the pros and cons. The pros and cons are this. As you grow a brand, as you’re doing right now, you’re then going to be able to protect for if you do have counterfeits. It’s going to be a lot easier to protect that and I believe that Amazon gives you a little bit more juice if you will, in a sense. Not necessarily where they are going to rank you better or something but they are going to recognize you as a trademarked brand so you are a little bit higher than everyone else when it comes to their priority list. Now, the other thing is if you ever wanted to sell your brand guess what? If you’re trademarked that’s going to be another notch in the sale where you’re going to be able to get a little bit more because you’ve went through that process and now you’re more of a locked down brand in a sense. So that’s the other pro. The other thing is again, once you do that you can put your trademark sign on there and then this way here people that are, well hijackers that are kind of scraping along and they are seeing different brands, yours is going to be one that they are not going to probably want to do because they are going to know it’s going to probably get them in trouble or it’s going to be harder. They are going to look for the ones that have not done that. So those are really the benefits. I think at this point though if you are a brand you will want to trademark that. I know our new brand we’re just going to be doing that process right now. The reason why we waited and anyone really should wait in this process is because you don’t want to wait for a brand that just doesn’t work or that maybe you start it but then you want to pivot and you want to go towards a different direction. [00:29:57] Scott: You want to know that because you are going to be then creating this brand that is trademarked and it takes about seven to eight months depending… And it costs money. So in the beginning you don’t necessarily have to get trademarked but the trademark is there to me as a way to protect the brand but then also it’s a way to add more value to the brand. I don’t think a lot of people talk about that but if you go to sell that brand, you may think to yourself right now, I’m not going to sell that brand but if you ever did that’s another asset. Just like building the list. Like if you come to the table and you have an FBA business and you have also your website that has a lot of traffic and then you have your trademarked and you have a list of emails subscribers of 10,000 people and you have a Facebook page of 10,000 people and you have all these different social channels and stuff, that’s more valuable. That’s more valuable to a buyer because now you have all that stuff done and you’ve really rounded out the brand. So that would be my suggestion for you. I would definitely start doing that especially if you have five SKUs right now that are doing pretty well and you know that you’re going to be moving forward in this direction, I would definitely do it. That would be my advice to you. So that’s pretty much going to wrap up this episode guys. Lot of stuff happening like I said. The meet up was amazing, I’m still on a high from that. So I want to thank everyone once again. Look out for the podcast episode on Monday because I am going to be announcing something that you guys can participate in and we’re going to have a couple of cool prizes. So definitely keep an eye out for that and I really look forward to seeing you guys participate in that because it’s going to be a lot of fun and it’s going to get me even more fired up. Which, who knows what will happen then. I may just explode. It’s just how do you get more energy? I get a lot of people say, “Scott, how do you get energized?” I don’t know. I feed off of other people but I also get excited about what we’re doing and the businesses that we’re building or helping. [00:32:00] Scott: I just get really super excited about it. So take that on with you for the weekend. Be energized, get out there, make it happen and remember as always I’m here for you, I believe in you and I am rooting for you but you have to, you have to… Come on say it with me, say it loud, say it proud, “Take action.” Have an awesome, amazing day, weekend, whatever it is and I’ll see you right back here on the next episode.